Davy Jeanney on Hansen Sport Peugeot 208 T16 RX wins as the first French man a round of the World Rallycross Championship. During the final head in Supercar WRX class at the Estering, he has a great start and lead the field after the first corner. In the finish he had a lead over 4,9 second before current World Champion Petter Solberg on his Citroen DS3 RX and Jeanney team mate Timmy Hansen. It was also the third round of the Supercar ERX Series, where Tommy Rustad was the winner on his VW Polo R WRX car. In the Super1600 class was starting two Czech pilot „Pavel Vimmer“ (Skoda Fabia) and „Ondrej Smetana“ (Ford Fiesta). But both of them was not in the finals. So the win goes to Ulrik Linnemann on his Peugeot 208. It was great to see in each class that there is competing a woman „Ramona Karlsson“ (Supercar), „Lise Marie Sandmo“ & „Mandie August“ (S1600) and „Magda Andersson“ & „Mandy Kasse“ (TouringCar). It was a great event, many 1000’s of spectator visit this World Championship Round 5, where was nice weather. There was as usually many smaller and bigger accidents, where we cars was only damaged. 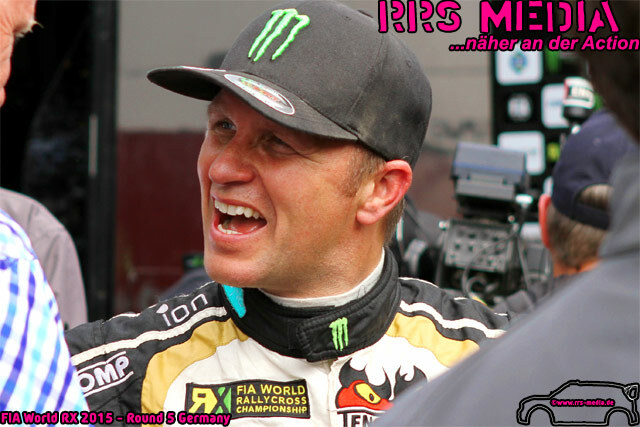 We did some interview with the first and only men, who has two FIA World Champion Title „Petter Solberg“. 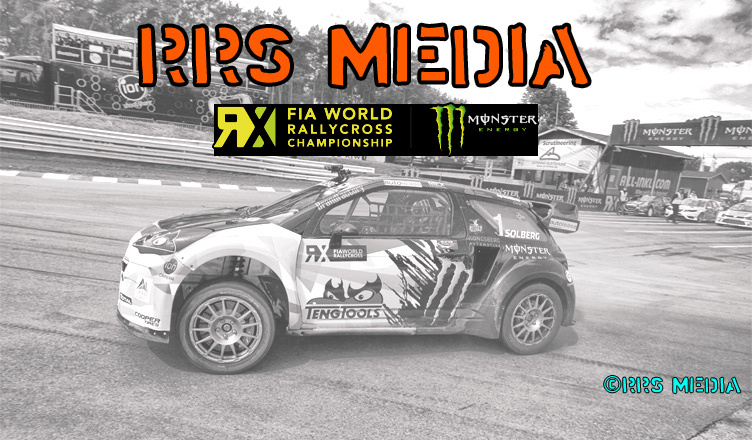 Red: How was for you the first 4 round of the World RX 2015 season? Red: How do you like this track here on Estering? Red: Is it difficult on this short track (only 952m), to overtake someone? Some word now from DTM driver and WRX driver from Sweden, Mattias Ekstrom, who drive in his own team the Audi S1 quattro. Red: How was the season to far for you in the World RX? ME: „The first race in Portugal [Montalegre] was good, I come to the semi-final and finish forth and seventh in the point classification. 2nd round in Hockenheim I could not do it there [Editor’s note: because of the DTM event on same time]. In Belgium [Circuit Jules Tacheny] I was third in the final and then the bonnet covered the windscreen and we had to retired. Top 6 in the points. 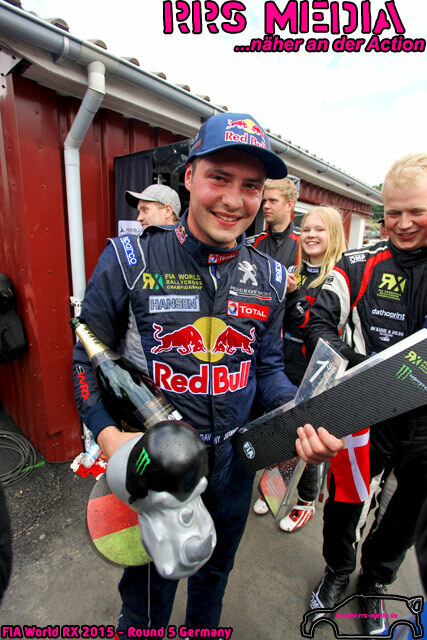 And in England [Lydden Hill] we fighting for the win and was second there with a short margin behind Petter [Solberg]. Here in Buxtehude we had not the best start on Saturday, but there is still the Sunday to come. Red: What is your aim for tomorrow? 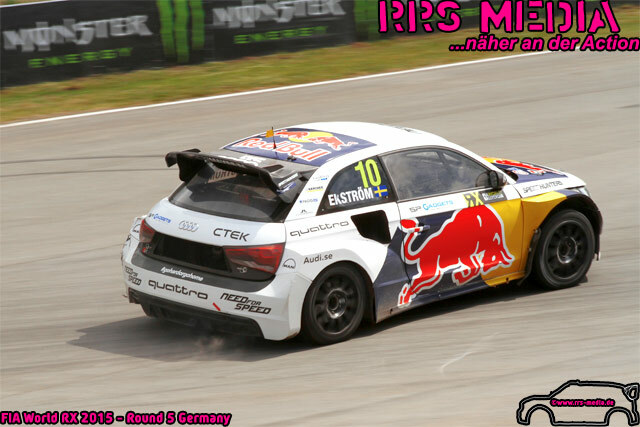 Red: How you get the idea to make your own Rallycross Team next to your driving by the DTM [Deutsche Tourenwagen Meisterschaft]?